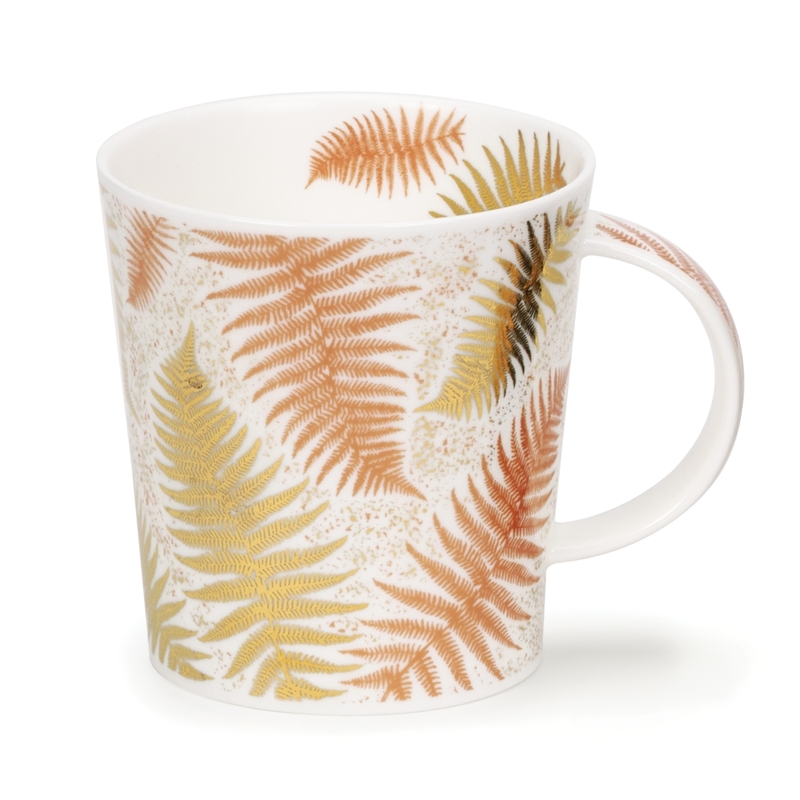 Two distinctive Jane Fern designs in this 'Ferns' collection which feature delicate silhouettes of fern fronds portrayed in rich 22 carat gold and stunning copper mica. 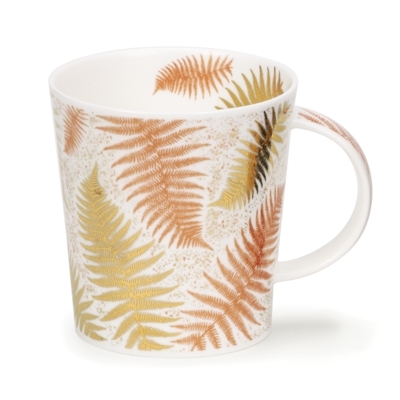 This design features copper and gold ferns on a textured white background. Born and bred in Stoke-on-Trent, Jane always had an interest in drawing and painting from an early age when she was encouraged and inspired by her family. After gaining a degree in Graphics and Illustration in Manchester, Jane specialised in painting flowers for books and commissions. Having worked on a freelance basis for many years, Jane is currently working in-house producing detailed watercolour studies.